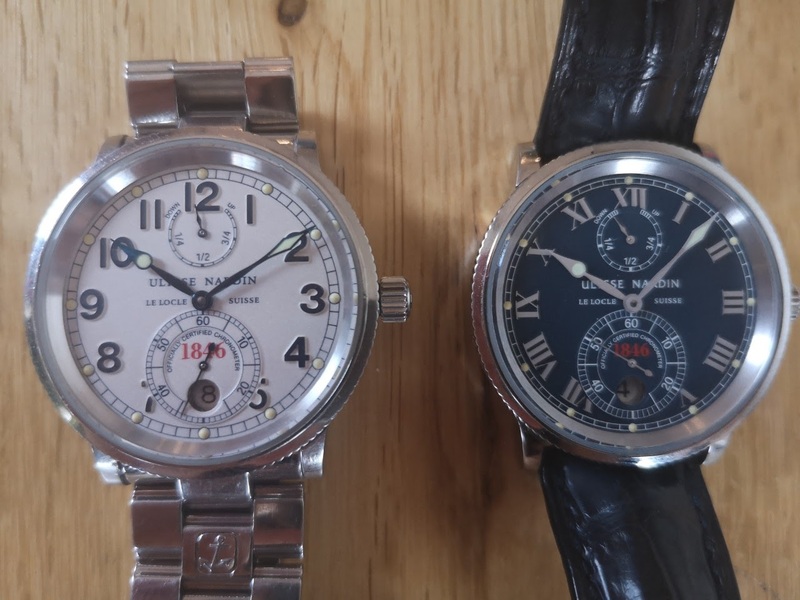 I have a question about power reserve hand in these two watches. As you can see power reserve hand on the white one goes out of scale. Blue one is fine. Initially I thought it was an issue only with my watch. Than I looked at the pictures on the net and I saw many 1846 with this issue. I wonder if it was released from factory with this defect ? I must admit that it kind of annoys me and I wonder whether UN really released pieces with such an inaccuracy.